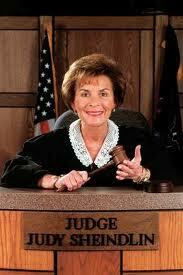 Make Judge Judy the Ruler of the World! She’s the only person I would Trust to Rule the World and to Rule over Humanity with absolute Fairness and Justice. Frankly I think we should take the risk and ask Her. I feel so strongly about this that I’ve started a “Cause” over at Facebook to see if anyone agrees with me. Click HERE to join. If we were to make Judge Judy Sheindlin the ultimate Authority in the World Today I’m sure that the world would be a better place for it! You see – the older you get the more you realize that the best form of Government would have to take the form of a benevolent dictatorship… of course that assumes that Absolute Power would not corrupt the anointed one absolutely.